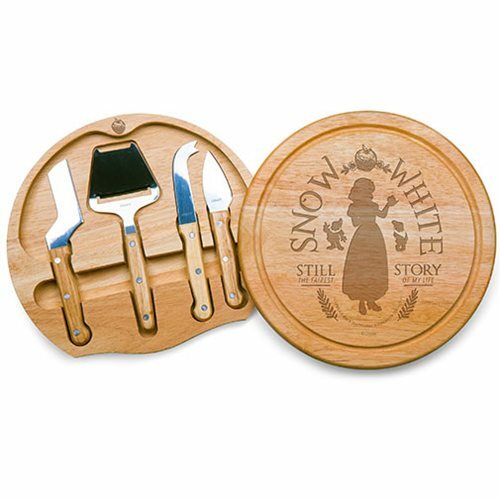 The Snow White Circo Cheese Board and Tools Set by Picnic Time is so compact and convenient, you'll wonder how you ever got by without it! 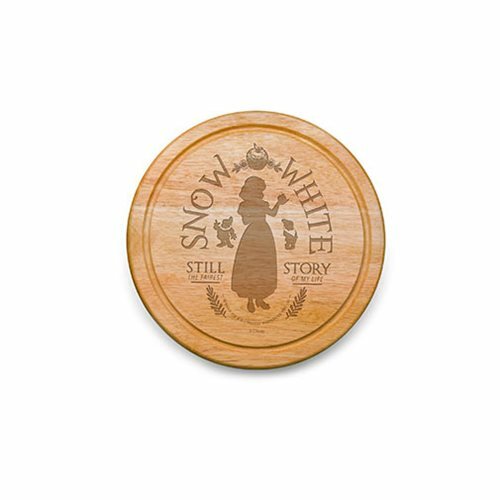 This roughly 10-inch (diameter) x 1 1/2-inch circular chopping board is made of eco-friendly rubberwood, a hardwood known for its rich grain and durability. 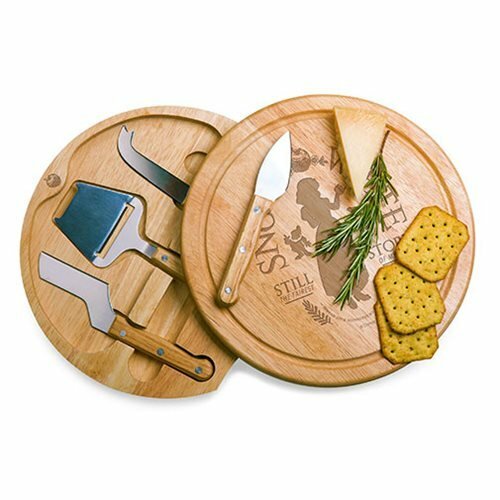 The board swivels open to reveal four stainless steel cheese tools with rubberwood handles. The tools include: 1x cheese cleaver (for crumbly cheeses), 1x cheese plane (for semi-hard to hard cheese slices), 1x fork-tipped cheese knife, and 1x hard cheese knife/spreader. The board has over 82 square inches of cutting surface and features recessed moat along the board's edge to catch cheese brine or juice from cut fruit. 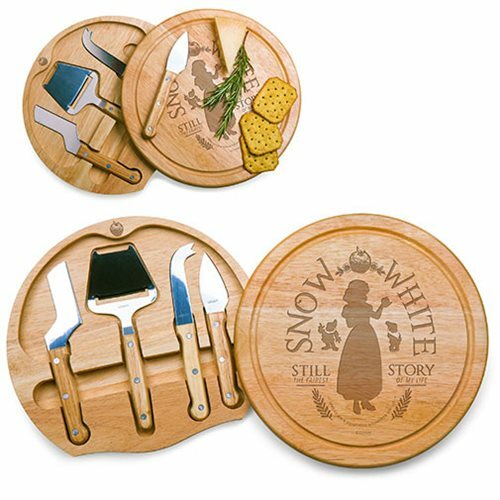 The Snow White Circo Cheese Board and Tools Set makes a thoughtful gift for any cheese connoisseur! Measures roughly 10-inches wide x 1 1/2-inch tall.